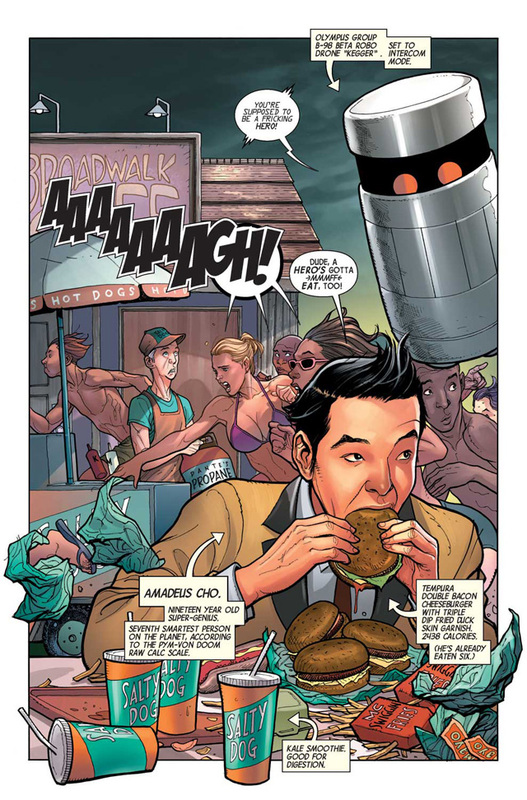 Amadeus Cho is the Totally Awesome Hulk! 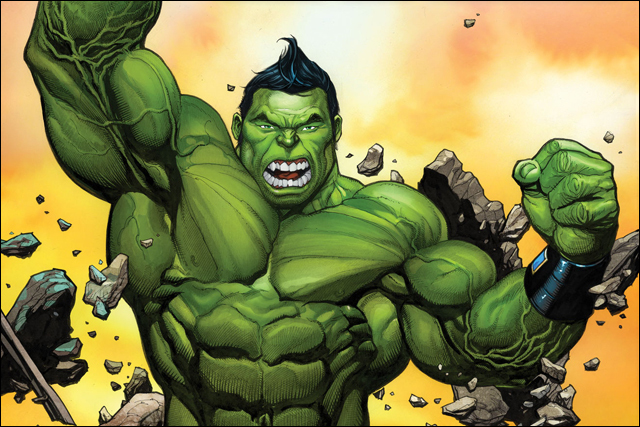 The all-new Totally Awesome Hulk #1, by Greg Pak and Frank Cho, on sale now. 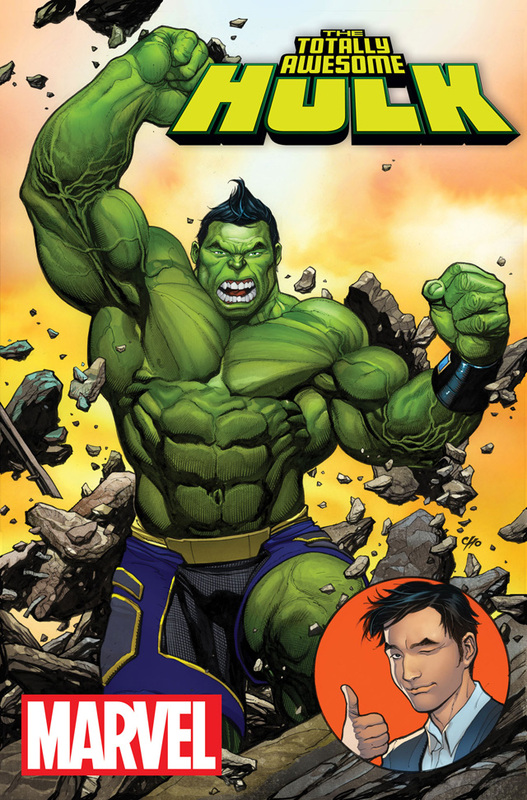 There's a brand new Hulk in town, and his name is Amadeus Cho. 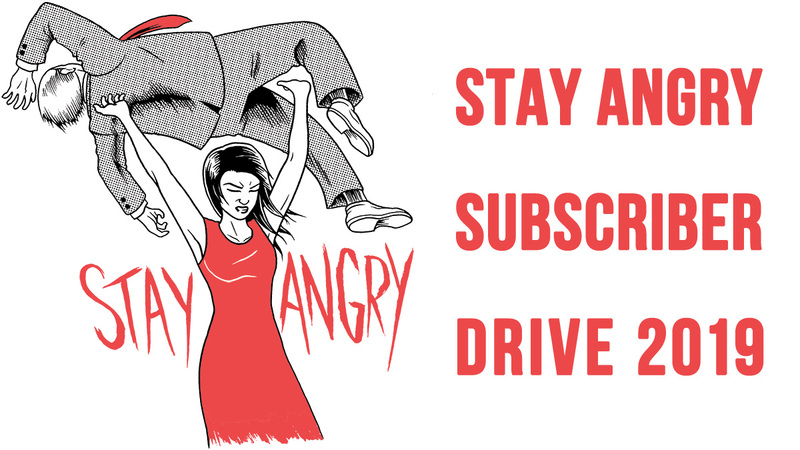 Yes, the Hulk is Asian American, bringing new meaning to "Angry Asian Man." The first issue of Marvel Comics' Totally Awesome Hulk, by writer Greg Pak and artist Frank Cho, hits shelves this week, and it promises to be craziest Hulk story of the millennium. 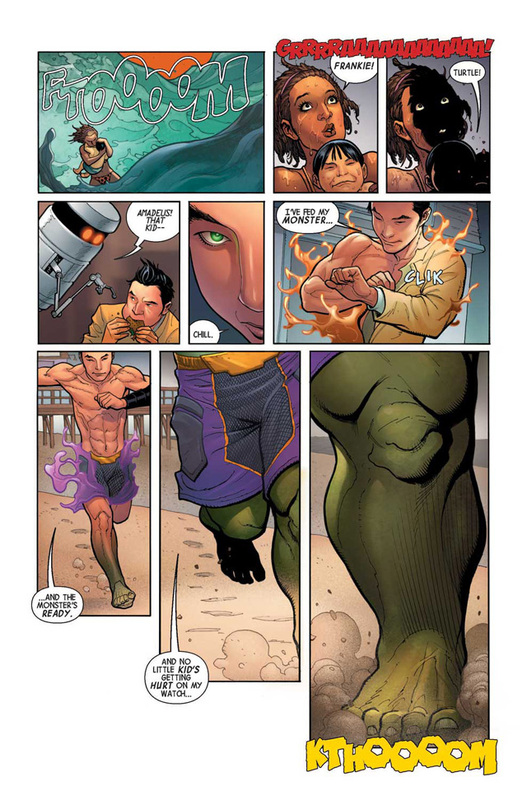 Kid genius Amadeus Cho decides he's gonna be the best Hulk ever -- and just possibly brings the entire Marvel Universe crashing down into chaos. Issue #1 kicks off with Amadeus springing into action -- and going green -- during a totally awesome beach day to prevent massive monster mayhem. 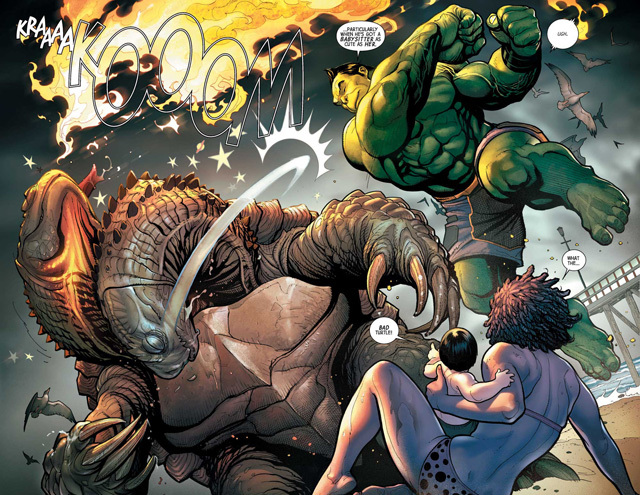 Read the rest in Totally Awesome Hulk #1, on sale now.